The holidays are a wonderful, exciting time for a new family. They are also exhausting and stressful and hard -like everything else you try to do with a new baby in tow. Shopping is hard. Cooking is hard. Wrapping presents is hard. Cleaning so your mom in law doesn’t judge you is hard. Drinking your spiked nog while watching Bad Santa without interruption is haaaaaaaard! But, we know how to make it a little easier. 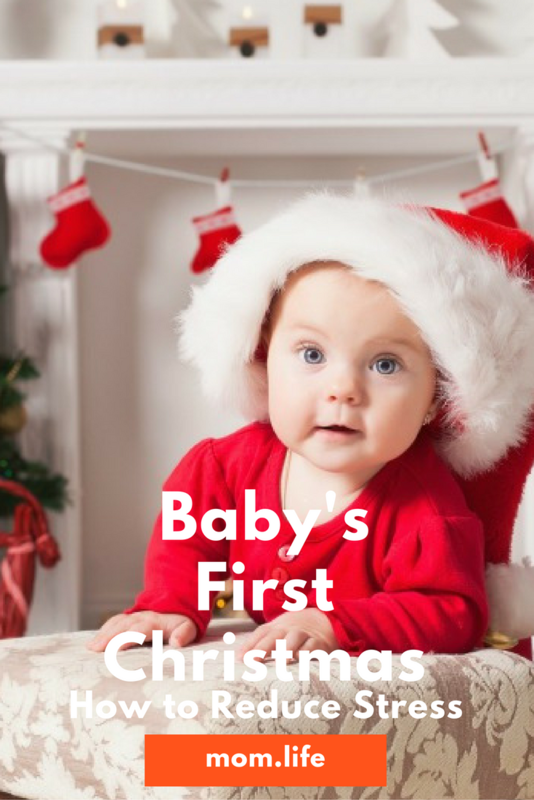 With a little planning, preparation, and orchestrated stress management, you might just make your first holiday with baby your smoothest and most enjoyable of all! Traveling is hard, especially with a baby in tow. Plus winter is RSV season for littles -the fewer icky germs they are exposed to the better! Besides, think about how magical your first holiday in your own space with your new little family would be. Don’t feel bad because you have to haul the stroller, the pack 'n play, and the car seat. Of course easier said than done if you’re flying because packing as light as possible is the first way to limit stress (having to lug a pack 'n play, a car seat, and an exhausted baby through a crowded airport on Christmas Eve is probably the most stressful thing a person can do). If you’re driving, pack it all in and make sure you bring things baby loves too -his favorite luvvie, his blanket from home, his white noise machine. If you’re flying, maybe ask the family you’re visiting to help supply some of the gear you need to make you and baby more comfortable by borrowing from a local friend or renting the gear (Yep, that's a thing). Meeting a lot of new people is stressful for babies. Their little senses get all overloaded and everything is different and everyone is noisy and nothing is the same and MOOOOOOOM! Pay attention to the cues your baby is giving you – if she is getting fussy, rubbing her eyes because she’s tired, or just looking like all of the new faces are too much, take a time out. It will give her time to calm down and recenter herself and it will give you a break too. Baby isn’t the only one who is exhausted by Aunt Charlotte’s heavily scented perfume and Grandma’s nagging! Flexibility will be needed in many situations, but there are some things you should stick to for your own good. Feeding schedules are kind of a must (your kid is hungry when she is hungry and if you don’t want her to get hangry, feed her like you normally do), and nap schedules should be deviated from as little as possible. Sure, allowing baby to stay up 30 minutes later to enjoy a visit with Santa is fine, but just ignoring the fact that your child hasn’t been able to nap comfortably all day is going to wreak havoc on you later. Not to mention when you are back home and trying to reestablish some routines. Also, consider time zones. Yeah, those – good times for all. If you’re feeling overstressed by your family because of the things they are saying or doing when it comes to you and your baby, kindly, but firmly, remind them that you are the mother, you appreciate their advice, but you will not tolerate their judgement. And then go hide in your room with your baby and log on to the mom.life app for support because they’re coming for you. Just kidding, but we’re there if you need us. Kisserra list of things for a healthy and comfortable pregnancy. © 2015-2016 Wunderkind Media & Technology corp.